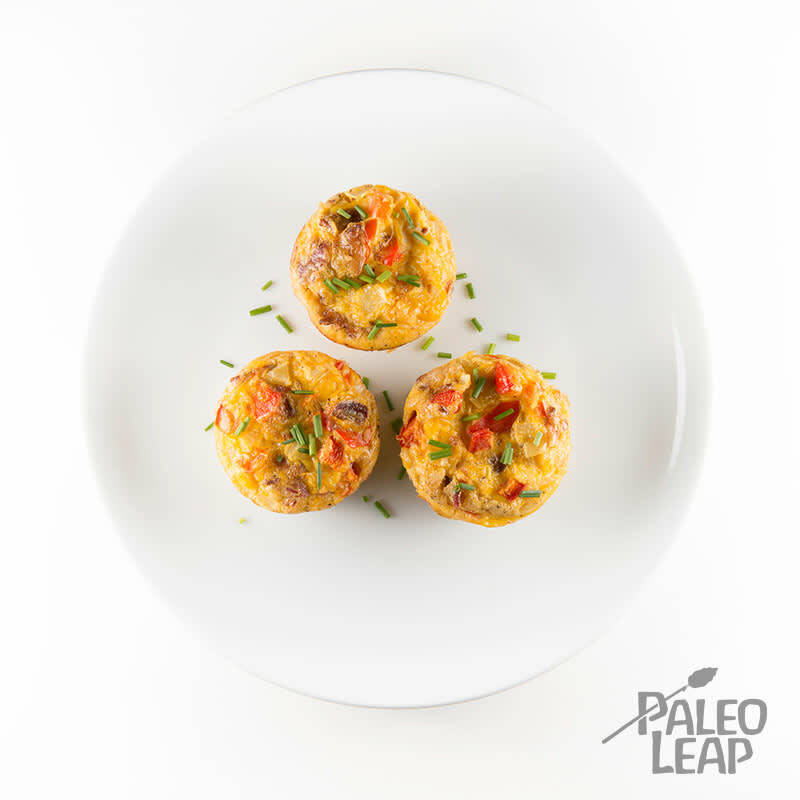 The perfect, savory Paleo muffin with just 3 ingredients, plus water and spices, that also keeps well for 4-5 days in the fridge? You guessed right, it is the humble egg muffin that takes the cake! We know that you will want to add this flavorful egg muffin to the top of your meal prep and planning list for the week, because not only is it uncomplicated to bake, you get to add your favorite ingredients too. Chances are good that free-range eggs are always in stock in your Paleo pantry as they are extremely versatile and can be cooked up in a starving moment’s notice, perfect to fill in any energy gaps that pop up during the day. Sweet potato pancakes with fresh strawberries and blueberries, poached egg optional, make for a nice weekend breakfast when you have time to relax with a steaming mug of coffee or herbal tea by your side, but weekdays call for different measures. When you need to get somewhere on time, and fast, it is nice to have a grab-and-go breakfast already prepared. We’ll be the first to say that bacon bits in egg muffins are tempting, though ham and prosciutto have their delightful qualities too. If you desire a muffin that tastes more like an omelet, add in a small amount of cheese for the most wonderful muffins ever. It goes without saying, that the chosen herbs and spices are up to you. Oregano lover? Have at it! A pinch of smoked paprika? Delicious. Grease muffin tin (allow for 6 muffins) with melted cooking fat. Beat the eggs in a bowl and add the bacon, bell peppers and water; season to taste with salt and pepper. Scoop the mixture evenly into the muffin tins and place in the middle of the oven for about 18 minutes, until a knife inserted in the center comes out almost clean. Remove from the oven, let cool for a bit, then remove from the tins and enjoy. Store leftovers in the refrigerator.